ActionComplete LLC announces a minor release of ActionComplete product family. 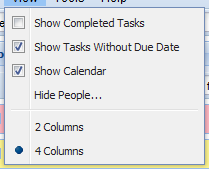 Show Tasks Without Due Date option for better management of urgency-based tasks. Those familiar with GTD tickler file concept will welcome the new ActionComplete dynamic duo: Show Tasks Without Due Date option and the filter on due date. The tandem shoots at the same goal as the tickler file - to remove non-actionable tasks from view until they become actionable. Due date filter cuts off the future tasks while Show Tasks Without Due Date option retains the tasks with no due date that are usually treated as ASAP tasks. 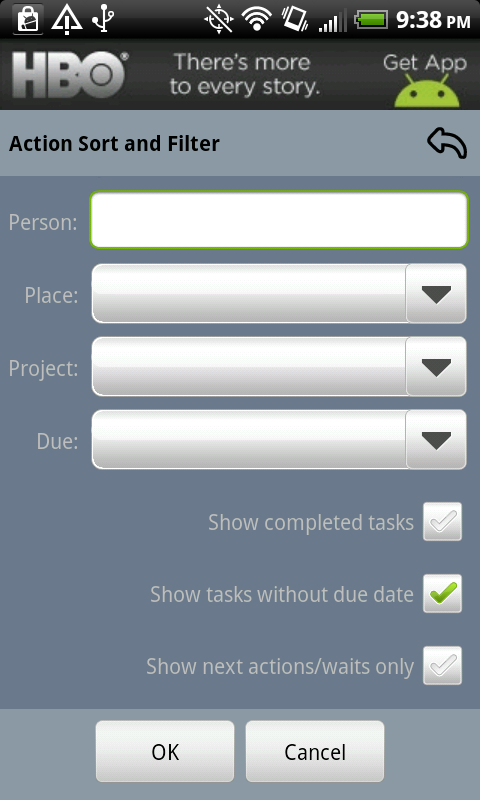 Show Tasks Without Due Date option is available via View menu in ActionComplete for Web and via the filter screen in ActionComplete for Android. More translations. ActionComplete for Web is now available in 7 languages: English, German (Thomas Pauli), Norwegian (Thomas Kjemperud), Swedish (Patrik Larsson), Russian (Alexander Sidorenko), Croatian (Nikola Radunović), and French (Aurélien Truco-Gallucci). ActionComplete for Android is now available in 5 languages: English, German (Thomas Pauli), Norwegian (Thomas Kjemperud), Russian (Alexander Sidorenko), and Croatian (Nikola Radunović). To access the new release on the web just refresh ActionComplete page in your browser. To access the new release on your phone install or update ActionComplete or ActionComplete Pro from Android Market. Before updating ActionComplete on your phone you might want to backup your tasks by syncing them to the cloud and/or by exporting them to your phone SD card (ActionComplete Pro only).